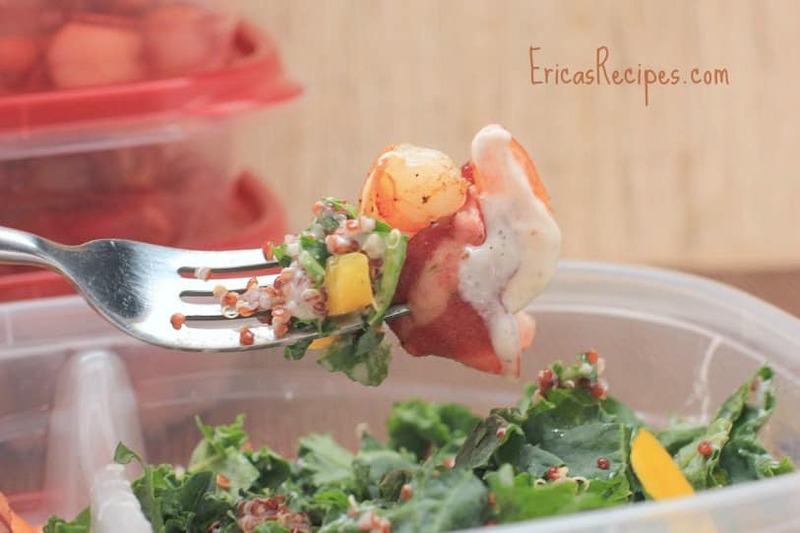 Bacon-Wrapped Shrimp with Kale and Quinoa Salad and Buttermilk-Parmesan-Peppercorn Dressing is a healthy, make-ahead for the week, lunch recipe you will love! Healthy and so yummy, this lunch will satisfy. 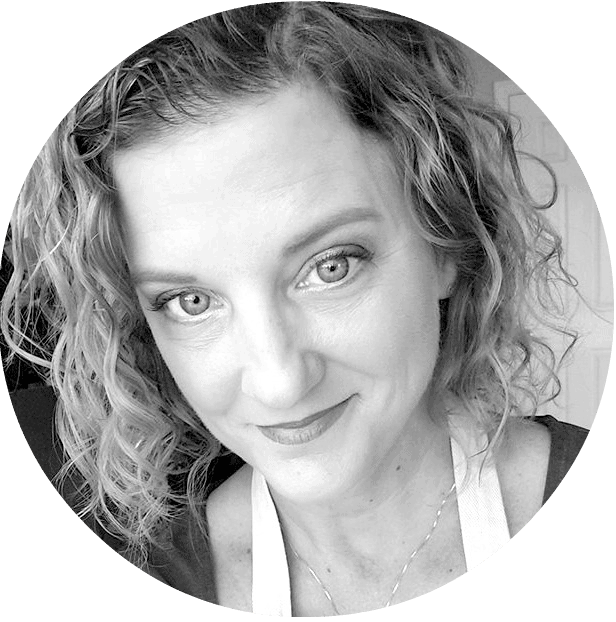 This is the third installment in my Healthy Week: Lunches series. I’m a huge fan of pre-making lunches for the week. Not only does it save time, but it really helps me make up for my weekend splurges. Fill a large pot half full with water. Bring to a boil. Add the quinoa and boil 15 minutes. Drain off the water leaving the quinoa in the pot (I use the lid to hold back the quinoa in the pot), replace the lid, and let the quinoa steam another 10 minutes. Fluff with a fork. Cool completely. Toss the shrimp with the olive oil, salt, pepper, and Old Bay. 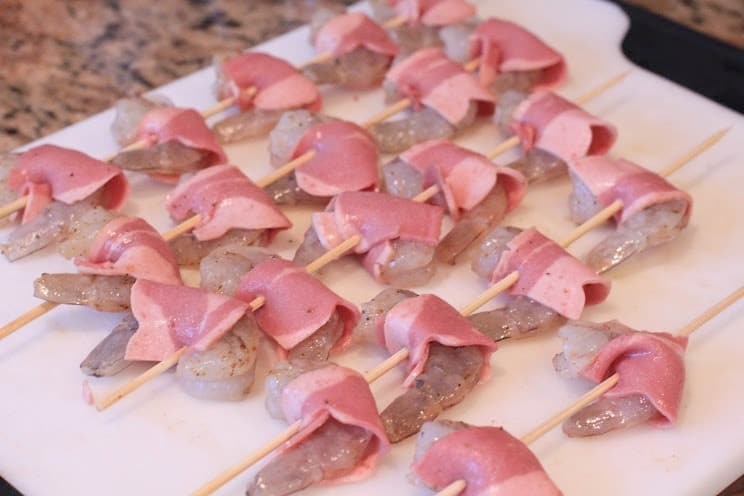 Carefully wrap each shrimp with a piece of bacon and skewer onto a bamboo skewer (alternatively, toothpicks can be used). Spray both sides with cooking spray to help the bacon crisp. Broil a couple inches from the broiler 4-5 minutes per side until bacon is cooked crisp. Cool completely. Toss the cooked quinoa with a little drizzle olive oil and a pinch salt and pepper. To make the dressing, just whisk the dressing ingredients together. 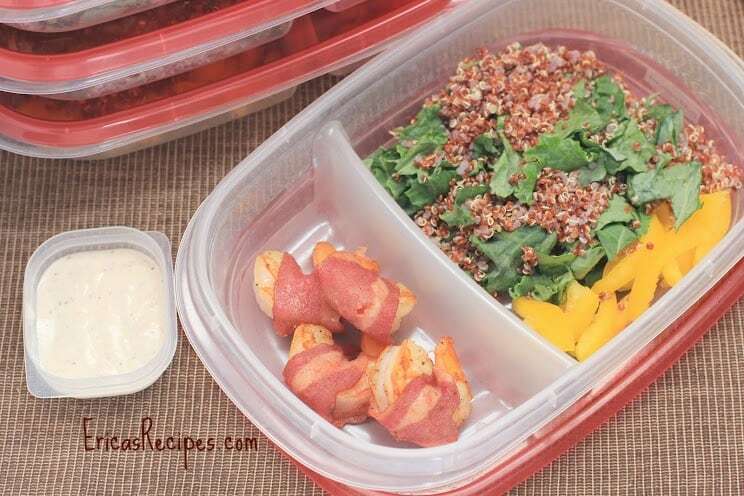 To assemble the salads, I use plastic containers to keep the shrimp separate from the veggies until I am ready to eat. 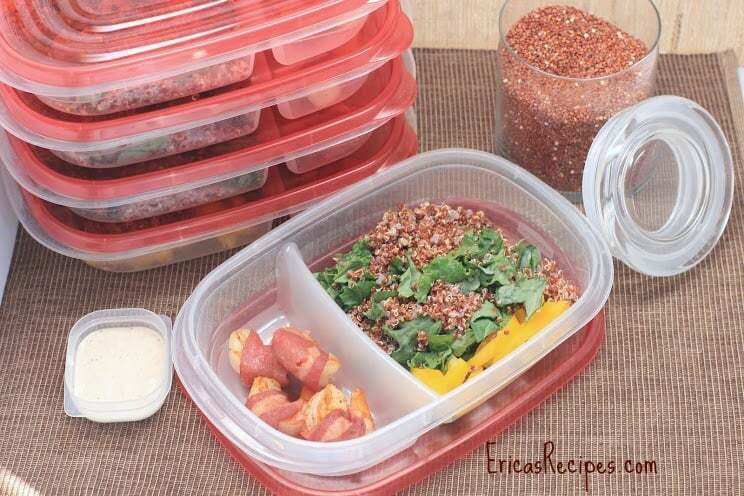 In one section, put kale, bell pepper, and quinoa. 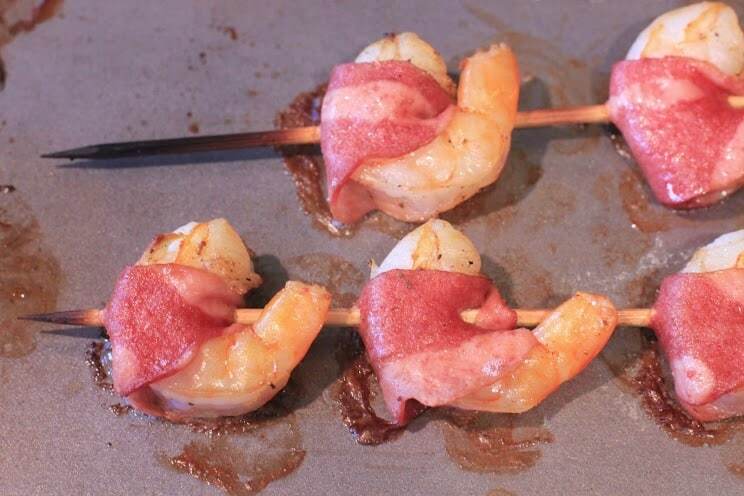 In the other, put 4 shrimp. In separate, small containers, parse out the salad dressing. Yields: 5 servings.